What sorts of issues are you talking about? ​At what point is a guardian necessary? ​How do I become a guardian, or appoint a guardian? ​Can anyone be a guardian? ​​Are there different types of guardians? ​What is the difference between guardianship and power of attorney? ​What are the benefits and drawbacks of each? 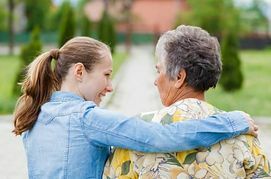 ​If someone petitions the court for guardianship of a family member, and I am in disagreement, what can I do? There are so many different types of long term health care, how do I even know what to plan for? ​Does Medicare, Medicaid, or Private Insurance generally cover any cost of long term health care? How expensive is long term health care? What happens to my assets if I need long term health care services? ​How can I determine if I am eligible for Medicaid? What financial preparations can be made to assure that my assets will not be completely drained to cover the cost of long term health care? ​What is covered by a mental health declaration? So many different terms, advanced directive, living will, mental health declaration, power of attorney, conservators, guardianship, power of attorney – are all these things really necessary? Is it worth consulting an attorney before signing a nursing home contract, is there really that much to be worried about? Do I need to sign a nursing home contract as it is presented to me, or can changes be made? Can I really negotiate with a nursing home on costs or care plans? What are my basic contractual rights in regard to nursing home care? Elder law describes an area of law that primarily concerns issues about health care as they relate to senior citizens. This practice area emerged in the 1980s when health care became a prominent issue for our society. The field of elder law has continued to develop as people began living much longer lives and face new problems regarding their physical abilities, long-term healthcare options, and financial stability. Elder law attorneys are knowledgeable about Medicare and Medicaid laws, nursing home regulations, nursing home contracts, disabled guardianships, advance directives, and long-term care planning. One of the most common situations deals with healthcare coverage for illnesses that are not covered by Medicare or private healthcare insurance policies and the individual doesn’t know their options. ​A court-ordered guardianship for a disabled person is necessary when an individual, who is not able to care for themselves, does not have an agent to act on their behalf through a validly executed durable power of attorney. ​State laws dictate the requirements of the process. Generally speaking, the first step is to file a petition to appoint a guardian of a disabled person at the court clerk’s office. Following submittal of necessary paperwork, various examinations of the individual, and proper notification to interested parties, the judge will consider all of the evidence at a court hearing to determine whether a guardian is appointed. ​No. In Illinois, a guardian must be of sound mind, over 18 years of age, a U.S. resident, and be without any felony convictions. In Indiana, persons convicted of certain crimes are disqualified including convictions of attempt or conspiracy to commit certain crimes. ​Are there different types of guardians? ​Yes. There are limited guardians, plenary guardians, temporary guardians, and standby guardians. These types describe guardianships of varying duration and authority. What types of decisions can be made by a guardian? A guardian can possess authority either over the person only or over the person’s estate or both. A guardian of the person only is responsible for the person’s care and custody. The guardian has access to that person’s personal and medical information and will be make decisions that impact the person excluding decisions regarding the person’s finances. For example, medical decisions are within the scope of authority for a guardian of the person. Some decisions require approval of the court. A guardian of the estate will have additional authority to manage transactions of the person’s financial estate. ​The main difference between a guardianship and a power of attorney is that a power of attorney is executed by the principal at a time when the principal has mental capacity to do so. A guardianship is ordered by the court when a person is unable to create a power of attorney. Another major difference is the cost in creating the agent authority. A power of attorney is a fraction of the cost and time compared to the court process of obtaining guardianship. Preparing a power of attorney can be done in one day while being appointed guardian can take several months. The time involved in petitioning the court for guardianship is extensive for both the attorney and the petitioner. ​The benefit of having either designation is that someone will be able to take care of a person who is unable to take care of themselves. A serious concern for a senior citizen having an agent, whether through a power of attorney or guardianship, is the risk of exploitation. ​Any interested party can contest the petition and offer evidence to the court in objection. ​Yes. Guardians can be removed by court order for breaching their duties. Guardians can also resign. ​There are so many different types of long term health care, how do I even know what to plan for? You have to use the information available to you to make the best decision under the circumstances. Your personal medical history, your family medical history, your behavior, diet, living arrangements, and financial position will all impact development of a plan. If things change as time goes on, you have to readjust your plan accordingly. Long-term healthcare insurance policies must be analyzed carefully and care must be taken in assessing an insurance company’s strength. Many policies are affordable at an earlier age because the likelihood of using the policy is postponed for one or two decades. ​No. Medicare does not provide coverage for custodial care illnesses. Medicare covers skilled health care services such as those provided by doctors, nurses, therapists, etc. Custodial care illnesses are ones where medical care is safely provided by someone who is not a licensed medical provider. The best example is Alzheimer’s disease where someone diagnosed with it may require 24 hour companion care to prevent tragedy but the cost of such care would not be eligible for Medicare coverage. ​How expensive is long term health care? ​There are two costs to be aware of: long-term care insurance policies and long-term care providers. Long-term care insurance policies are priced based on age and demographics. Statistically, the younger you are when you purchase a policy, the longer the amount of time before you would use the policy and therefore, the premiums will be cheaper. Theoretically, the insurance company will invest your premiums paid to anticipate future use. As your risk of using the policy increases, so does the cost of the premium. Policy premiums do tend to stay level at the price originally established. Annual premiums established in your 50s will likely run less than $1000 while premiums established ten years later will triple or even quadruple. Annual premiums for someone establishing coverage in his early 70s may see quotes of $6000 or more if that person is eligible. Long-term care providers include assisted living facilities, independent living facilities, nursing homes, and private caretakers who live in-house or visit regularly. Costs vary greatly among different types of providers and even within the same type. It is not unusual to see monthly costs exceed several thousand dollars. ​What happens to my assets if I need long term health care services? ​Generally speaking, if you do not have any insurance coverage, you will need to pay for services out of pocket. As your cash and other liquid finances are depleted, you will need to convert other available assets into cash to use for payments. Once you have exhausted your finances, you may be eligible for Medicaid. Medicaid is a joint program between state and federal governments to provide services to impoverished individuals. The rules and regulations of the Medicaid program are promulgated by both governments. Eligibility for Medicaid is state-specific and detailed in practice. You can contact your state government for more information at www.cms.gov/home/medicaid.asp, or talk to someone with specialized knowledge about the program’s qualifications. In addition to elder law attorneys, counselors and senior care administrators from your local township may be available to consult with you. Most states have a Dept. of Aging that can provide assistance as well. ​What financial preparations can be made to assure that my assets will not be completely drained to cover the cost of long term health care? ​At this time, long-term care insurance is one of the best ways to prepare for future health care costs. Just as you would have a medical policy to anticipate costly medical care services, a long-term care policy is a way for you to set money aside to be used for your care later in life. Policies vary greatly and it is advisable to get unbiased opinions from informed individuals who can explain the differences to you. Remember that insurance agents may be well-informed about the policy but they may also be biased in the perspective. Another consideration, particularly if you are young, is investing your money now into an account or fund for that purpose. Your self-discipline in saving and investing will be critical to the success of this method. ​So many different terms, advanced directive, living will, mental health declaration, power of attorney, conservators, guardianship, power of attorney – are all these things really necessary? ​Some of the terms mentioned overlap others. For example, powers of attorney and living wills are examples of different types of advance directives. Conservators and guardians are nearly the same thing; a guardian is an appointed individual who is responsible for the care of an individual and may have additional authority over the individual’s finances while a conservator is either an appointed individual or corporation with trustee powers who is responsible for managing an individual’s financial affairs. ​Is it worth consulting an attorney before signing a nursing home contract? Is there really that much to be worried about? I have seen nursing home contracts that contain illegal provisions and the facility is not even aware of it. Unfortunately, I have also seen nursing homes deny people their rights and try to evict residents illegally. I strongly advise having an attorney on retainer to protect your interests when transitioning someone into a nursing home. ​Do I need to sign a nursing home contract as it is presented to me, or can changes be made? ​Generally speaking, before any contract is signed, the parties can and should negotiate the terms of the contract. When a form contract is presented, it’s usually an indication that the party offering the contract wants to settle on the terms as presented. The bargaining power of the other party will depend on several factors, for example, whether the contract provisions are legal, whether the facility is full, whether there are many competing facilities, and the type of insurance is involved. ​Can I really negotiate with a nursing home on costs or care plans? ​It’s not likely you will be able to negotiate nursing home rates but there is a good possibility the facility offers different care plans at varying costs. ​What are my basic contractual rights in regard to nursing home care? • You must be informed in writing about services and fees before entering the nursing home. • You have the right to manage your own money or direct someone you want to do it for you. • You have the right to keep and use your personal property to the extent it doesn’t impede others’ rights, health, or safety. • You have the right to be informed of your medical condition and medications and to refuse medication and treatments. • You have the right to see your own doctor. • You have the right to inspect your clinical and other records. Illinois nursing homes are supposed to provide new residents with a copy of their rights. In Indiana, in addition to your basic rights, nursing home residents have rights in regard to admission, transfer, and discharge, privacy and confidentiality, quality of life, living accommodations and care, your financial affairs, medical care and treatment, and freedom from restraint and abuse. A summary of these rights is listed at http://www.in.gov/isdh/21582.htm. ​My parent has already signed a contract with a nursing home, we now are concerned with some portions of the contract; what recourse do we have now? ​First, it will depend when the contract was signed. Many states provide people two or three days to get out of a signed contract unless the right is specifically waived. Secondly, an attorney can review the contract to identify improper clauses or provisions which may have been raised in court already with favorable outcomes for the residents.